Year after year student organizations at Texas high schools and junior highs commit to actively participate in the State’s leading teen-led traffic safety program, Teens in the Driver Seat®. Teens in the Driver Seat® is an initiative of the Youth Transportation Safety Program at the Texas A&M Transportation Institute sponsored by the Texas Department of Transportation (TxDOT). Financial support from TxDOT makes it free for any Texas high school or junior high to receive the resources and support from this nationally recognized, best practice program. TDS focuses on building young peer leaders who create a traffic safety culture on their individual campus through outreach and educational activities. For images of the winning posters visit, t-driver.com. For a full list of 2017-18 TDS Cup winners visit, t-driver.com. Winners of the TDS Cup competition will be recognized at the Teens in the Driver Seat Summit, May 19-21, 2018, in San Antonio, Texas. The event will consist of workshops, interactive learning experiences, and an awards brunch to recognize student leaders who increase awareness about car crashes – the leading cause of injury and death for youth in Texas – to their peers, families and community. 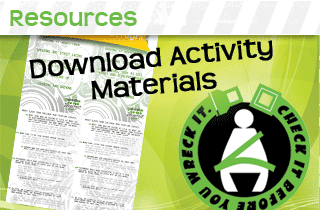 As Teens in the Driver Seat® wraps up another school year they look forward to developing new educational resources, building partnerships, and expanding their reach.